Southampton's season is now officially underway, having played three Premier League games and one Capital One Cup match. Forster, Clyne, Fonte, Alderweireld, Bertrand, Wanyama (Davis), Schneiderlin, Tadic, Ward-Prowse (Pelle), Insigne (Elia), Long. 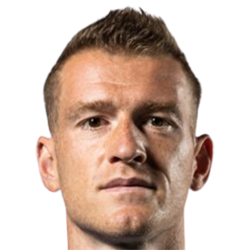 Steven Davis has been an integral part of Southampton's midfield for this month, earning himself the right of being the August 2014 Player of the Month. With an average rating of 8.00, Davis already has two PoMs under his belt and is no doubt looking for more. Steven Davis: After suffering a knock in the Burnley game, Steven Davis is currently awaiting treatment on a twisted knee and looks to be back in 2 or 3 weeks. 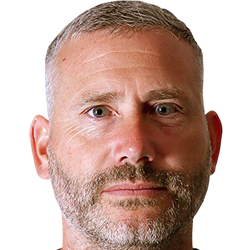 Kelvin Davis: After breaking down in training, veteran goalkeeper Kelvin Davis is currently undergoing treatment for achilles tendonitis and is expected to be out for 3 to 4 weeks. Southampton have made a deadline day loan signing of Manchester United midfielder Nick Powell, who has just returned from a recent, but unsuccessful, loan deal at Wigan Athletic. Born in Crewe, Cheshire, Powell started his career at home-town club Crewe Alexandra, joining their youth system as a five-year-old. He made his debut for Crewe on 19 August 2010, in a League Two game against Cheltenham Town, which ended in a 3–2 defeat at Whaddon Road. At the age of 16 he came on as a second-half substitute for Clayton Donaldson, becoming the second youngest player ever to appear for Crewe. On 20 August 2011, after only being on the pitch for eight minutes, Powell was sent off for the first time in the 2–0 defeat to Shrewsbury Town, following a poor challenge on Terry Gornell. Powell scored his first senior goal in a 3–1 away win at AFC Wimbledon on 15 October 2011. In January 2012, Powell was awarded the Football League's Young Player of the Month Award for December. He scored his first brace against Gillingham in a 4–3 win on 10 March 2012. On 21 April 2012, he won every award at Crewe's end of season awards ceremony, becoming the first player to win all five, including Goal of the Season (for his 30-yard strike in the 4–3 win at Gillingham), Young Player of the Year and Player of the Year. On 27 May 2012, Powell scored the most important goal of his career so far, a volley from outside the box into the top corner in the 2–0 victory over Cheltenham Town in the 2012 League Two play-off Final at Wembley Stadium, to win promotion to League One. At the end of the 2011–12 season, Powell finished as the club's top scorer with a total of 15 goals in all competitions. Powell joined Manchester United from Crewe Alexandra on 2 July 2012 in a deal reported to be worth up to £6 million, depending on future success and appearances. He was allocated the number 25 shirt previously worn by Antonio Valencia, who took the number 7 shirt. It is also the same shirt number that he had worn at Crewe. Powell played his first match for United on 21 July 2012 coming on as a second-half substitute in a pre-season friendly against Ajax Cape Town in South Africa. Four days later, he made his first start for Manchester United in a pre-season friendly match against Shanghai Shenhua. He made his Premier League debut against Wigan Athletic in a 4–0 win on 15 September 2012, coming on as a substitute for Ryan Giggs in the 71st minute, and subsequently, scoring his first goal for United in the 82nd minute after receiving a pass from Javier Hernández. Powell has represented England at under-16, under-17, under-18, under-19 and under-21 levels. On 5 November 2009, he made his debut for the under-16 team in a 2–0 win against Northern Ireland. On 25 August 2010, Powell made his debut against Turkey for the under-17 side. On 28 August 2010, Powell scored a free-kick for the under-17s in a 4–0 win against Australia in the FA Men's under-17 International Tournament. He played in the 2011 UEFA European U-17 Football Championship, with England making it to the semi-final and Powell scoring against France in the group stage. Powell made his under-18 debut in a 3–0 win against Poland on 7 March 2012 at Crewe's Alexandra Stadium. He scored on his under-19 debut against Germany on 6 September 2012. He was called up to the under-21 squad for the first time on 3 October 2012, for the play-off games against Serbia. He made his debut on 13 November, playing the full 90 minutes of a 2–0 win against Northern Ireland at Bloomfield Road. With four more games played in their season, Southampton now head into the autumn months full of confidence and pride. Forster, Clyne, Fonte, Alderweireld, Bertrand, Wanyama (Powell), Schneiderlin, Tadic (Djuricic), Mane, Insigne, Pelle (Long). Forster, Clyne, Fonte, Alderweireld, Bertrand, Powell (Wanyama), Schneiderlin, Tadic, Ward-Prowse (Djuricic), Insigne (Elia), Long. Forster, Clyne, Fonte, Alderweireld (Gardos), Bertrand, Wanyama (Davis), Schneiderlin, Tadic, Long, Insigne, Pelle (Mane). Forster, Clyne, Fonte, Alderweireld, Bertrand (Targett), Wanyama (Davis), Schneiderlin, Tadic, Mane (Long), Insigne, Pelle. The Southampton vice-captain has been crucial so far this season, helping to create 3 goals so far and gathering one PoMs so far. 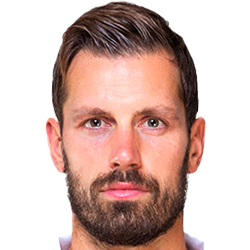 Schneiderlin has been, alongside Steven Davis, crucial to Southampton's midfield and have made sure that the opposition do not get onto the ball, earning him the September Player of the Month award. Southampton currently have a clean bill of health, with no injuries currently on the list. Sorry that I've been gone for a while and that the story hasn't been updated, but that's just because I've had a very busy schedule for the past few weeks, with my schoolwork and other important IRL things getting into the way of updating this story for you all to read. But I'm back now with hopefully no interruptions for the time being, and I'll be working hard to make sure the October 2014 update comes out to you guys very soon!